On this fourth of July, my neighbors will take in a parade and an evening fireworks’ display. There will be cookouts and hotdogs. Many of us will sit around and drink a beer and enjoy, just a bit, our own success at being patriots. After eight months of organizing, of coalition building, of trips to the state capitol, of lobbying legislators as well as the public, we enjoyed beating back more than one hundred anti-immigrant bills that had been filed in Austin. Any one of those bills would have seriously affected the quality of life that we enjoy in our communities. So we said “No!”, the “we” being students, community organizers, small business owners, cities and towns, war veterans, church people and the police. It was hard work, and we didn’t win anything. But we did stop something–the institutionalization of the racial hatred and crippling fear that some Texans seem to carry in their very genes. It was a big stop and took a lot of hard work. But we were strong, and we won. 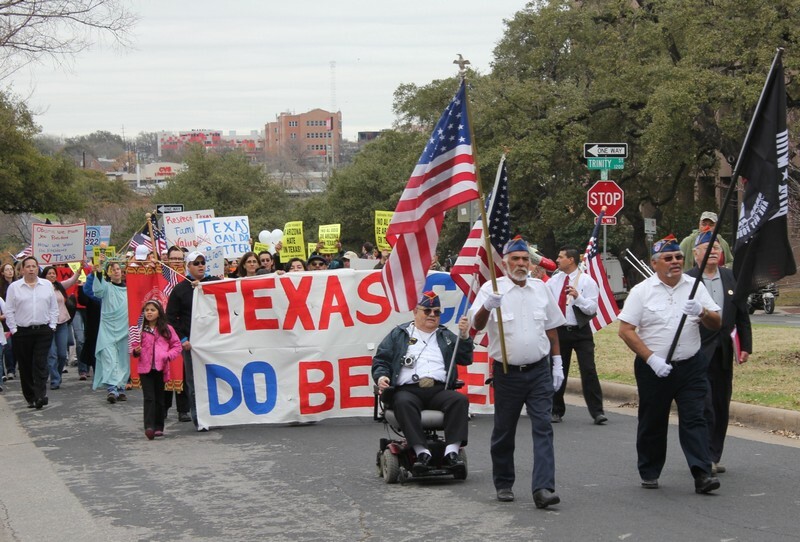 SAN JUAN – Calling it a victory for all of Texas, a Rio Grande Valley coalition celebrated the demise of legislation that would have authorized local law enforcement officers to enforce federal immigration laws. The collapse of the so-called sanctuary cities bill despite attempts to pass it in both sessions was a victory for all Hispanic and working families who could have been targeted by the proposed legislation, said John Michael Torres, a spokesman for La Union del Pueblo Entero. He said the bill’s passage would have driven a wedge between law enforcement officers and immigrant communities and would have forced police departments to expend valuable resources policing immigration. losing a day of work each time. Despite a strong GOP majority in both chambers, the sanctuary cities bill failed to pass in the special session with House and Senate Republicans blaming each other. The bill also failed to achieve passage during the regular session among more than 100 anti-illegal immigration measures filed. None of those bills passed. “At the beginning of the session, things were set up for some of these bills to pass, but the crisis we saw at that moment was also a catalyst for action,” Torres said Wednesday following a rally in front of a mural of labor rights leader Cesar Chavez, who founded the San Juan-based civic group. 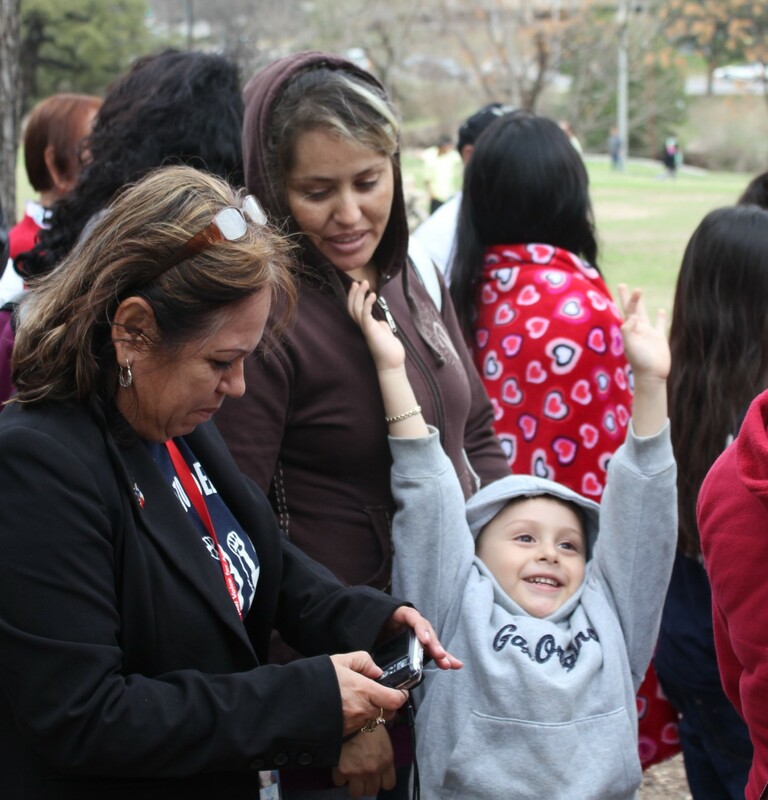 “It’s really amazing that nothing passed, but that’s because there were so many people united with this effort across the state,” Torres said. A flurry of bills targeting illegal immigration filed by state legislators led to the creation of the coalition that asked the state to consider the implications of passing those bills. 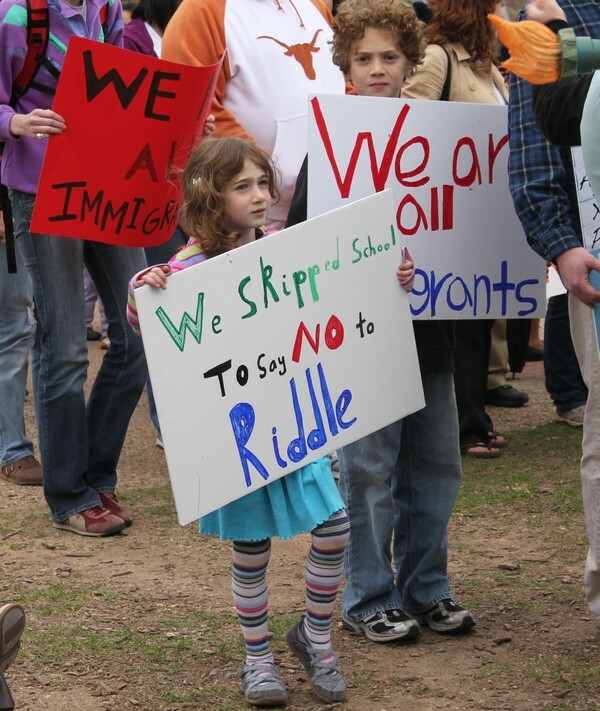 Rather than basing their arguments solely on moral grounds, the Rio Grande Valley Equal Voice Network’s immigration coalition also asked legislators to consider the potentially negative impact on the economy. The coalition – part of a broad, statewide group that worked with law enforcement officials, faith leaders, business representatives and human rights advocates to oppose the bills – organized a comprehensive outreach program, traveling to Austin for two rallies, making hundreds of phone calls to the Capitol and delivering more than 150 resolutions and 3,000 postcards opposed to the bills. Most of the group’s opposition was directed at the sanctuary cities bill that would have prohibited police departments from blocking their officers from enforcing immigration laws. While supporters say the sanctuary cities bill would have given law enforcement officers the authority they need to enforce all laws, critics say it could lead to racial profiling. The measure caused racially charged debates in the Legislature where border representatives could express its “detrimental effect,” said state Rep. Sergio Muñoz Jr., D-Palmview, an opponent of the bill. Many small businesses were initially opposed to the bill – in the Valley, those seeking to block it received resolutions from taquerias, mechanic shops, insurance agencies and other small businesses – but industry leaders were also concerned about economic implications. Arizona’s hard-line immigration measure led critics to say the bill would force Hispanics to leave the state, costing the state tax dollars, business and a labor source. “Once they saw past the political rhetoric that was surrounding the issue, people started to see what a negative impact it was going to have,” Muñoz said, calling it “blatant discrimination” against Hispanics. Francisco Martinez, a retired farm worker, collected dozens of resolutions from Valley business owners concerned about the legislation’s possible impact. He said the bill would have forced some immigrants further underground.